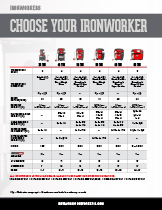 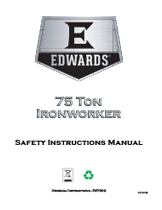 The Edwards 75 Ton Ironworker offers you greater capacity to accomplish larger tasks. 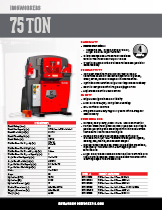 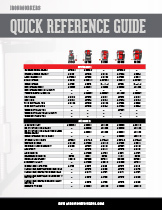 Its standard features include a Punch Assembly with Pedestal Die Table, a 14" wide Flat Bar Shear, Angle Shear and Coper Notcher. 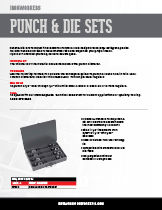 The Punch Assembly is easily converted to an open station designed to accept optional Tooling Accessories, allowing flexibility to customize your Ironworker according to your needs. 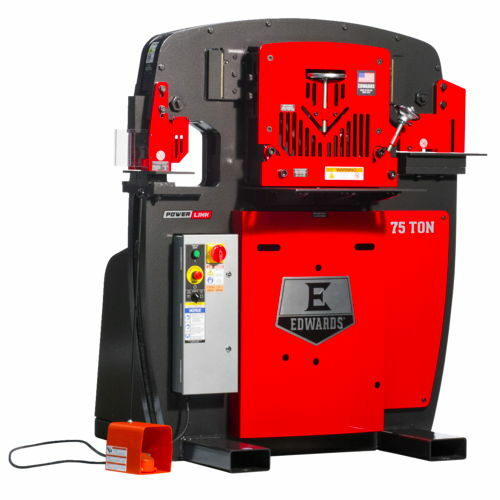 2-1/2" x 5" x 1/2"